Frozen Skating Anna Doll Only $10 Plus FREE Store Pickup! You are here: Home / Great Deals / Frozen Skating Anna Doll Only $10 Plus FREE Store Pickup! This is the lowest price I’ve seen on this doll! 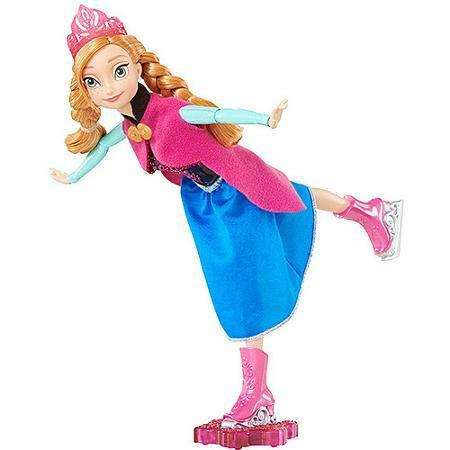 Re-create magical movie moments with this Frozen Skating Anna Doll for Only $10 Plus FREE Store Pickup! Just attach doll to base for easy ice-skating action. With just a simple push, this adorable toy glides gracefully back and forth, arms and leg moving in elegant ice-skating form!